I was looking for an adapter that didn’t use batteries and required no interaction once it was paired to my phone and this is it. 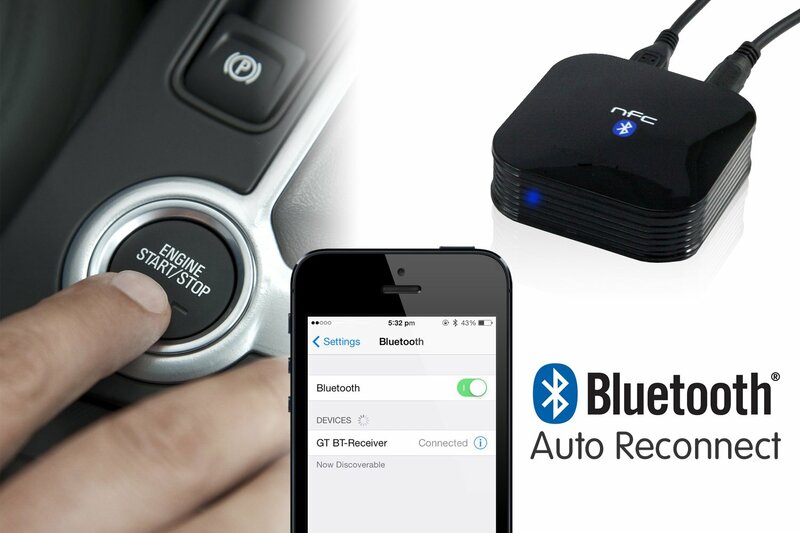 This HomeSpot NFC-enabled Wireless Bluetooth Audio Receiver for Car Audioadapter works great with my 2007 Prius, using only the bluetooth media channel for my phone and the prius native bluetooth works for the phone. (prius and many other cars only do phone on bluetooth.) The connection for media is nearly instantaneous and much faster than it connected in my old Jetta.